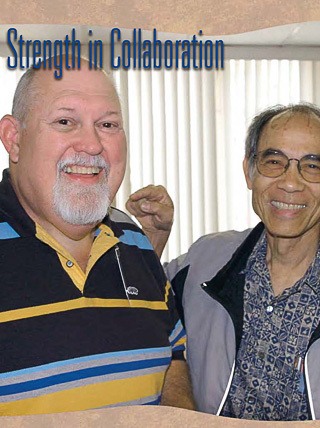 Effective collaboration has always been a hallmark of CRDG’s work. CRDG excels at building alliances that further high quality education for all children. Its partners include schools, collegial research entities, community and education organizations, and government agencies. Curriculum research, data collection and evaluation, professional development for K–12 teachers, and dissemination of materials provide fertile ground for strengthening relationships. In 2007, CRDG’s working partners in Hawai‘i included more than one hundred public, private, and charter schools as well as community and educational organizations. CRDG worked with teachers in mathematics, science, art, social studies, early childhood education, and reading and worked on research and evaluation projects with the Hawai‘i Departments of Education and Health. Curricula and professional development impacted more than two hundred teachers and thirty-five hundred students in grades K–12. Colleagues from the University of Hawai‘i at Hilo as well as the UH Mānoa’s Colleges of Education, Tropical Agriculture and Human Resources, Natural Sciences, and Engineering were actively involved in research and development with CRDG. 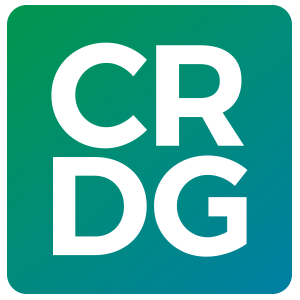 Beyond Hawai‘i, CRDG’s collaborations extended nationally and internationally to California, Mississippi, Illinois, China, Ethiopia, Russia, and beyond. The marine science community in Hawai‘i is large, vigorous, and diverse, and CRDG’s marine science educators are deeply involved in that community. Collaborators this year included the Kohala Center, the Haunama Bay Education Program, Bishop Museum’s Education Through Cultural and Historic Organizations program, Hawai‘i Sea Grant Extension, the Hawai‘i Institute of Marine Biology, the Waikiki Aquarium, and the National Oceanic and Atmospheric Administration (NOAA). CRDG’s Program Research and Evaluation section, working with art education faculty, completed evaluation work on the ARTS FIRST Windward Research Project that trains elementary school teachers to use the arts to teach reading and mathematics. CRDG’s Social Studies section’s teacher workshop, Hands-on Social Studies, explored social studies instructional methods that use cultural artifacts and role-playing to enhance literacy and social studies content. A study conducted as part of the workshop revealed that some of the greatest challenges teachers face in teaching Pacific Island studies are the lack of curriculum materials, a finding that may guide the Social Studies section’s research agenda in the coming years.